Lexar, a leader in advanced digital media and accessories, announced today that professional photographers Vincent LaForet, Moose Peterson and Joe McNally will present their work in Lexar's booth (#244) at the upcoming PhotoPlus Expo in New York City. Each professional photographer will share his experiences capturing award-winning images while revealing digital imaging workflow practices. Online banking, shopping and other transactions will soon have added security with a new dual-factor authentication product called TrustedSignins, which was introduced today by SanDisk Corporation, the world’s largest supplier of flash memory cards. The 6.3 MegaPixel FinePix F30 is the world's first point-and-shoot digital camera for consumers with full-resolution ISO equivalency speeds as high as 3200 - a setting previously reserved for advanced consumer and professional digital camera models. Higher light sensitivities allow the FinePix F30 to shoot with faster shutter speeds, which lessen the likelihood of blurry pictures caused by ever-active children, fidgety pets, dim ambient light or camera movement due to an unsteady hand. Gertrudis Graphics announces the release of Version 3.0 of the painting software Gertrudis Pro. This major release includes many new features and enhancements like Wacom Support, Custom Backgrounds, 3D Brushes, Full screen paint, and enhancements like better color accuracy and enhanced stroke rendering algorithm. Keeping the batteries charged and ready to go is an obsession for many personal electronics users. What happens when you are outside in a remote area? Designed to be durable products with a convenient, alternative charging solution, the Eclipse Solar Gear bags are ideal for the outdoors-oriented or mobile professional. Archos, a global consumer electronics manufacturer announces the 604 WiFi, the industry’s only portable multimedia player with integrated wireless technology enabling consumers to connect to the Internet for browsing and web mail access, as well as to a WiFi enabled home network. The 604 WiFi is scheduled for release in November 2006. High-tech digital camera discovered in pharaoh's grave! Enigmatic signs and incredible discoveries are holding the world in suspense: mysterious X symbols are appearing everywhere and confounding the experts. Scientists discover a modern digital camera in the grave of an unknown pharaoh and in other amazing places. What's the connection between the two phenomena? >>more about High-tech digital camera discovered in pharaoh's grave! PictoColor Corporation announces the release of iCorrect OneClick, the latest addition to its award-winning family of digital photo color correction plug-ins. The new point-and-click color correction tool is PictoColor’s fastest, easiest, and most automatic color correction plug-in to date. Based on PictoColor’s professional-level color technology, iCorrect OneClick is ideal for photo enthusiasts who want to take the guesswork out of making the color right. By simply clicking on an area in the image that should be neutral (black or white or gray), users can instantly correct the white balance, fix the exposure, and improve the saturation. The S9 is a high-quality compact digital camera that packs 6.1 megapixels and a range of easy-to-use functions into a slim, stylish and sophisticated wave-surface body designed to help anyone shoot pictures with greater confidence. Digital Camera Review reviewed Nikon CoolPix S9 and found some really interesting stuff about this compact camera. Anthropics Technology Ltd is a London based software company doing pioneering work in digital human representation and animation. Over the past 5 years Anthropics has developed world beating technologies which have been used by major mobile telecommunications companies, including Nokia, Vodafone, Telefonica, O2, 3, and many other mobile operators. Digital Photo News has done a review of their software, Portrait Professional. BenQ today introduced the BenQ X720, the slimmest 7.0 megapixel digital camera featuring 3x optical zoom, smc Pentax (Super Multi-Coating) lens, 1/2.5 inch CCD image sensor and a bright 2.5 inch LCD display. The BenQ X720 features an elegant stainless-steel body with a shiny metal grip and has been awarded with the prestigious 2006 iF China Design Award and 2006 G-mark Good Design Award for its smooth, exquisite, elegantly crafted, blade-like design. 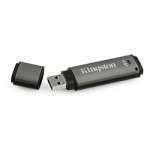 Kingston Technology Company, Inc., the independent world leader in memory products, today introduced a new line of rugged, waterproof USB 2.0 Flash drives featuring industry-leading hardware-based encryption to safeguard critical data. 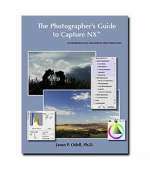 The Photographer's Guide to Capture NX™ is a new eBook by photographer Jason P. Odell. At over 180 pages, this comprehensive guide is a must-have companion for Nikon digital users who wish to use the latest version of Nikon Capture, Capture NX™. The eBook, a fully illustrated, bookmarked and indexed PDF document, is now available from Luminescence of Nature Photography and includes a suite of Capture NX settings files and the actual RAW files from the book. Sharpcast, a pioneer in synchronization software and services for consumers, today released a powerful version of its Sharpcast Photos service that delivers a completely unparalleled way to back up, share, access and sync digital photos. Sharpcast Photos includes free desktop photo software that works automatically with the web to perform all of the tedious tasks associated with digital photo management all on its own. Aurora Digital Imaging today announced it was launching the finest Digital Image Recovery software program on the market, called Ultimate Image Recovery. Ultimate Image Recovery, an enhanced version of the company’s PhotoOne Recovery, which has successfully been on the market for 2 years, is regarded by many professional photographers as a ‘must have’ piece of software. 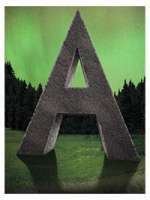 The developers at Aurora were challenged by their own prior success and using a new process they dubbed SmartRecover Technology, improved on their market leading software and subsequently named it: “Ultimate” Image Recovery.